The Duun VM range of tractor powered log and firewood processors can handle logs upto 42cms in diameter and 11 tons in weight, they are tractor powered with hydraulically driven feeds which simplify operation. The optional ST2440 Log Deck increase the length of logs that can be handled, other options include 6 and 8 way splitters and electric power units. 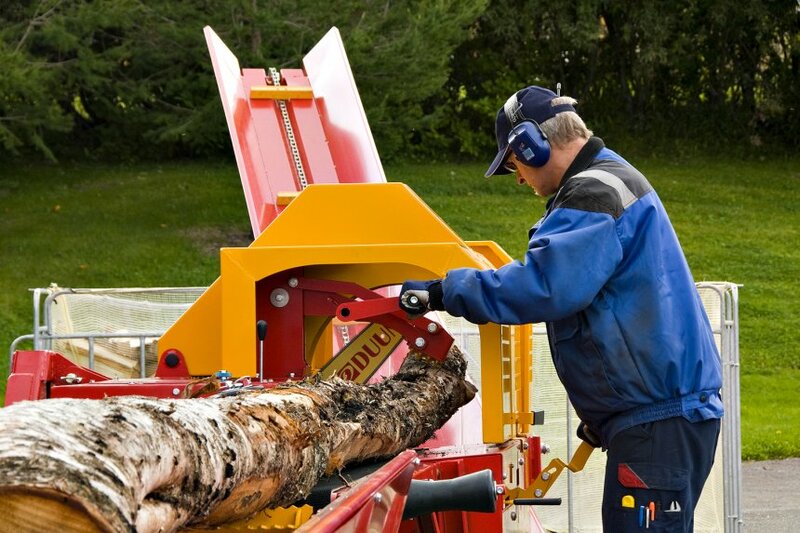 Duun Log Processors are designed to process large amounts of logs quickly and efficiently and can comfortably handle both softwood and hardwood, green or seasoned. These processors feature single lever hydraulic infeed, cutting and splitting, Automatic Hydraulic Log Clamp.